The worlds most advanced printer exhaust system. 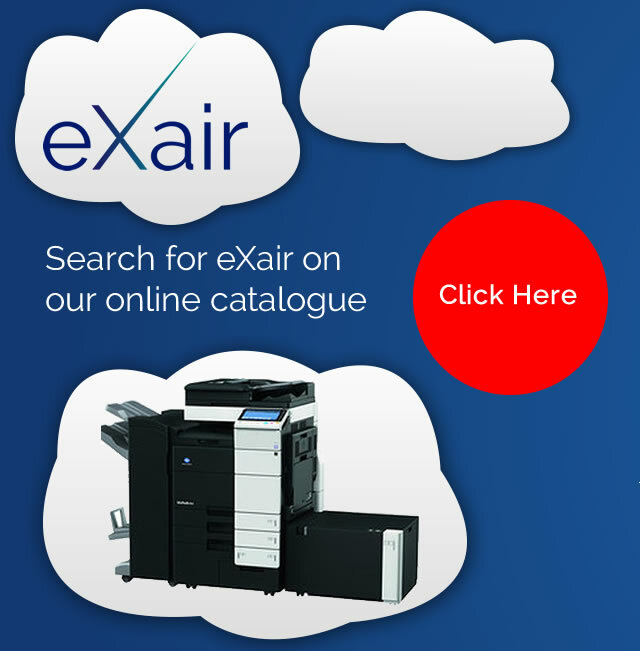 The eXair efficiently removes unwanted substances and contaminants from the air exhausted by the photocopiers and printers which helps to create a healthier working environment. Volatile organic compounds, ozone, carbon monoxide, toner dust, paper dust, chemical residues and unpleasant odours are removed using the unique patented filter element. The eXair helps keep the atmosphere clean for allergy sufferers. A newly developed electronic controller automatically detects when exhaust air purification is required and makes sure that the eXair only comes into action when required. 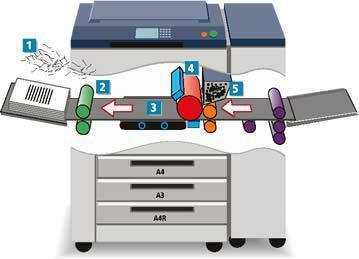 This saves energy and the unit is completely silent when the copying machine is not in use. The copier is also protected from dust that would otherwise be sucked into its mechanism. Thanks to its special adaptor, the eXair can handle the exhaust from more than one machine – eg a copier and a laser printer. The eXair cleanses the exhaust air of dust and gases and the ozone is entirely converted into clean air. Replacement of the high efficiency filter is very simple and takes just a few seconds to complete. The eXair helps keep the copier clean and prolongs its life. The built-in special exhaust outlet allows the eXair to discharge exhaust air outside the building. Filter element:Highly active, chemically bonded, directional granular carbon. Having used the Copy Box for the last three years I can thoroughly recommend this product. There have been big changes in the print room regarding the strong smells such as Ozone and Formaldehyde. I feel that I have the responsibility to provide the best working environment possible for my employees which is why I am happy to endorse your product. Thank you for reinstalling the Copy Box filter on our new Photocopier which was previously used on our Xerox machine. It certainly makes a difference to the Ozone smell we previously experienced, I am happy with the results and would not hesitate to recommend it. As a Firm, we feel under obligation to provide our staff with the best possible working environment, with care taken to limit the intake of dust and fumes. We were therefore delighted to be offered a solution in the shape of the 'Copy Box'. We have had the units fitted to our photocopiers for almost a year and we have, during this period, detected fresher air with no pollution which has resulted in a reduction in the sickness absences and complaints of headaches in our reproduction room. We can thoroughly recommend the 'Copy Box'. We have had the Copy Box System fitted to our photocopiers for the past four years, they have made a great difference to the working environment. I would like to thank you for the excellent service that we have had from your company during this period, not only when carrying out the regular servicing of the units, but also in the way you have arranged the units to be adapted to fit any new or replacement equipment which we have had installed. Thank you for installing your filter systems on our photocopiers, we are very pleased with them. The teaching staff were not convinced that they were going to be effective, and when they were installed we hardly noticed a difference - until one was accidentally removed and the smell of Ozone was immediately apparent. I would not go back to life without the filters as I am convinced that they are a healthy alternative to breathing in dust, fumes and formaldehyde. If it saves just one day of teacher absence through ill-health it is worth it. I have recommended them to my colleagues.